Mark Kosower, cello; Lothar Zagrosek, Bamberg Symphony Orchestra. Naxos 8.572372. The back of the Naxos jewel box says "Alberto Ginastera was one of the most admired and respected musical voices of the twentieth century, who successfully fused the strong traditional influences of his national heritage with experimental, contemporary, and classical techniques." That may be so, but it made me feel rather uninformed because I could only remember hearing a single piece of music by the man, an old recording of the Harp Concerto with Zabaleta. The present disc hopes to rectify that situation for a lot of us classical-music fans. 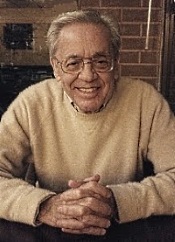 Alberto Ginastera (1916-1983) was an Argentinean composer who studied with Aaron Copland and among whose students is tango-composer Astor Piazzolla. What surprised me in reading about Ginastera is that a rock track familiar to me, Emerson, Lake & Palmer's "Toccata," the group adapted from Ginastera's First Piano Concerto. Serves me right for not reading the album's liner notes. It's remarkable how things in this world are so intertwined, yet we may not even know about them. Anyway, Ginastera wrote his two Cello Concertos in 1968 and 1980, and it's a pleasure to have them here. The disc begins with the Cello Concerto No. 2, Op. 50, composed by Ginastera as a tribute to his wife, the cellist Aurora Natola. Written in four movements, each section bears the lines of a poem to help the listener better understand the music. It's all very sensitive and evocative, the composer having explained earlier in his career that "art is first perceived by our senses. It then affects our sentiments and in the end awakens our intelligence.... A work which speaks only to the intelligence of man will never reach his heart." 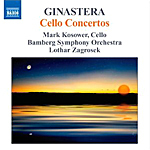 Cellist Mark Kosower plays with a light touch, never overstating the music even when it becomes somewhat melodramatic, as at the end of the first movement; nor does Maestro Lothar Zagrosek overdramatize Ginastera's poetic moods. Still, the music often sounds to my ears like most typical modern pieces, with a plethora of sonic effects, mainly percussive, in slow but harmonious succession, without much regard to a discernable melody. However, the third movement, a nocturne, struck me as most touching, Kosower's cello wistful and yearning. Ginastera called his Concerto No. 1, Op. 36, a neo-Expressionist work. It's a darker, more ominous-sounding piece than No. 2, written in a traditional three-movement concerto arrangement. I'm not sure just what the composer was after in the first movement, but the music can be downright spooky. The scherzo is more rambunctious, an energetic section with a vigorous rhythmic pulse that Kosower and Zagrosek exploit with cultivated restraint. It's quite a lot fun, actually, and does indeed appeal to the senses above all. I might have done without the final movement, though, which apparently Ginastera intended as a plunge into madness, the chaos eventually fading into silence. I suppose this is an appropriate ending to the work, and parts of it are undeniably brilliant. The overall effect, nonetheless, seems to lose its welcome by the halfway point. Naxos recorded the concertos in Bamberg Congress Hall, Bavaria, the Concerto No. 1 in 2009 and the Concerto No. 2 live a year later in 2010. The live recording is very close-up, helping to eliminate any possible audience noise but not offering much in the way of natural hall ambience. In compensation, we do get excellent clarity and dynamic impact. In the Concerto No. 1, also recorded very closely but not live, we find slightly more dimensionality, with just as much punch. In any case, both recording styles sound fine, and they fit the music nicely. 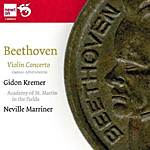 Gidon Kremer, violin; Neville Marriner, the Academy of St. Martin in the Fields. Newton Classics 8802064. Somehow, this one escaped me when Philips first issued it some twenty-five years past. But now that Newton Classics have given us this 2011 rerelease, I've had the chance to hear what I missed all those years ago. Not that I was missing a seriously must-have performance; still, the recording has its merits, along with a serious drawback. Violinist Gidon Kremer is, of course, a gifted musician, and Sir Neville Marriner and his Academy of St. Martin-in-the-Fields have been at the top of their game for over fifty years. They provide a generally fine interpretation of Beethoven's Violin Concerto in D, Op. 61, in all regards but one. The point of controversy in this recording is Kremer's choice of cadenzas, those improvisatory passages where the composer expects the soloist to elaborate in his or her own virtuosic way, usually on a phrase or two from within a movement. Sometimes the soloist creates the cadenza, sometimes the soloist borrows a cadenza from someone else, and sometimes a composer will write out the cadenzas for the soloist to follow. In the case of the Beethoven Violin Concerto, the composer never wrote any of the cadenzas in the work, with most violinists going with those of Joseph Joachim or Fritz Kreisler, Jascha Heifetz using a combination of his own and Joachim's, Rachel Barton Pine using her own personal creations, and so forth. Which brings us to Kremer, who uses cadenzas written for him in 1975-77 by his friend, the Russian composer Alfred Schnittke (1934-1998). Schnittke's cadenzas are, in a word, odd. From what I understand, Schnittke wanted to combine elements of traditional classical and Romantic music with those of modern, experimental music, the resulting passages hitting a somewhat jarring, distracting note in the midst of Beethoven's more-familiar territory. When the cadenzas appear--a major one near the end of the first movement, a brief transitional one at the end of the second movement, and a final one near the end of the last movement--they come in stark contrast to everything around them. On a more positive note, Beethoven's expansive first-movement Allegro opens conventionally enough, the ASMF sounding a bit smaller than its more imposing rivals and Marriner adopting moderate, relaxed tempos. When Kremer enters, he, too, maintains the pleasantly genial mood of the introduction. Neither the soloist nor the conductor ever tries to force Beethoven's grand design on the listener, so the music is never overwhelming, just relatively gentle, refined, and comforting. At least, it is until the entrance of the first cadenza, which casts a kind of bizarre shadow over the rest of the music. Left to their own devices and using a fairly orthodox cadenza in the second movement, Kremer and Marriner produce a sweetly affecting Larghetto that leads to an airily lilting finale. Unfortunately, in the final segment again the mood gets shattered by the intrusion of Schnittke's seemingly inappropriate twentieth-century cadenza. Ah, well; I'm sure some folks will appreciate and grow to love the unusual, often eccentric qualities of these interruptions; I didn't, although I can certainly respect Schnittke's earnest intentions. Recorded in London in 1980, the Philips sound is characteristically warm and spacious. There is a very wide stereo spread involved, with more-than-adequate depth to the orchestral field and a reasonably broad dynamic range. The violin tone is as smooth as the rest of the production, with strong bass support, so the whole recording comes across as easy on the ears, if not as transparent as some of its competition. Of minor concern, Newton Classics provide only the one work on the disc, about forty-four minutes long, which seems rather short measure even if it duplicates the original Philips disc. They might have found something to couple with the Concerto, if only for the sake of appearances. 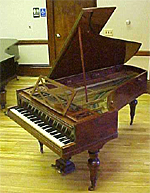 The folks at the Frederick Historic Piano Collection inform us that Chinese pianist Yuan Sheng, there last fall to record Chopin with the 1845 Pleyel piano, asked permission to get Edmund Michael Frederick's article "A Different Perspective on Piano History" from their Web site, translated into Chinese for publication in China. Not only did the article appear in the February, 2011, issue of the Chinese magazine Piano Artistry, subtitled in English "Inspecting the Piano History from Another Point of View," a few pages later Yuan Cheng's own article, "Inspirations from the Early Piano," describes his experience as a pianist, rediscovering the works of various composers in the context of pianos in the Frederick collection, from the composers' own lifetimes. In July, when Yuan returns to the United States for the International Keyboard Institute and Festival in New York, he will record a video interview of Edmund Michael Frederick, with illustrative selections on various pianos, for a Chinese Public TV broadcast series premiering in the fall. The staff of the Frederick Collection are looking forward eagerly to the eventual release of the two-disc CD album Yuan recorded there. He is one of the finest interpreters of Chopin in the world today. Their Web site has a rave review of Yuan's recent Chopin recital: http://www.frederickcollection.org/. The Vancouver Symphony's "Bach and Beyond" programs at the Chan Centre offer a niche series for a substantial audience that prefers music written before the Romantic and Modern eras. As such, the chamber orchestra programs inevitably raise a number of performance decisions, and become a laboratory for exploring style. Certainly this year's season-ender featuring conductor/harpsichordist Kenneth Slowik had to wrestle with three distinct issues: how to present Bach on modern instruments; how to deal with a high Classical symphony; and, perhaps of greatest interest, how to present a work from the early Romantic era with chamber orchestra forces. Slowik is artistic director of the Smithsonian Chamber Music Society and has directed the Baroque Performance Institute at Oberlin. No stranger to the VSO, he is deservedly building a following. His reading with just eight performers of Bach's Fifth Brandenburg Concerto, featuring VSO associate concertmaster Joan Blackman and principal flute Christie Reside, was stylish and elegant. Haydn's Symphony #94 (The "Surprise") opted for humour and vitality. With about 40 players (almost exactly the same number Haydn used himself when the work was premiered in 1792), the winds/strings/percussion balance was altered significantly. Slowik's flexibility and understanding of Haydn's wit made for a decidedly amusing interpretation: It may well be the first time I've heard actual guffaws at the eponymous "surprise" in the second movement. However, the real surprise of the program was Robert Schumann's Spring Symphony. It is conventional wisdom that Schuman's orchestral works have their challenges and flaws; many conductors don't give them the time of day. Slowik's approach was telling, and one feels that his years of lieder work with singers informed his extraordinarily poetic approach. He's certainly prepared to take risks—big ones— and, given some of the infelicities of Schumann's scoring, there were moments that courted disaster. But Slowik's sense of the emotional truth of the work, and his obvious joy in its exhilarating drive, coupled with a genuine feeling of spontaneity, made for a delightful performance that vindicated Schumann's idiosyncratic symphonic vision. May 26, 2011, San Francisco, CA – Philharmonia Baroque Productions announces distribution deals with Harmonia Mundi that will bring its releases to the UK, Germany, and Austria. The debut CD release, a live recording of Berlioz: Les Nuits d'été and Handel arias featuring mezzo soprano Lorraine Hunt Lieberson, entered the Billboard Classical Albums chart at Number 7 for the week ending May 21. Harmonia Mundi distributes all releases in the United States and now also in the UK, Austria and Germany as part of a three-disc distribution arrangement for Europe. The next title, a collection of three Haydn symphonies conducted by music director Nicholas McGegan, is scheduled to be released on Tuesday, June 14. The third of the initial group of CD releases this year will be a studio recording of Vivaldi's beloved Four Seasons, as well as three other concerti, featuring principal violinist Elizabeth Blumenstock. For a complete biography, visit www.philharmonia.org/about/history/. The audiophile folks at HDTT (High Definition Tape Transfers) have announced a Spring Sale, offering 15% discounts on all of their music products. Although the sale does not include HQCD Blanks or Symposium Acoustic Products, it does include all of their CD transfers and downloads. The sale ends June 5, 2011: http://www.highdeftapetransfers.com/storefront.php. 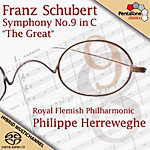 Philippe Herreweghe, Royal Flemish Philharmonic. PentaTone Classics PTC 5186 372. The Ninth Symphony of Franz Schubert (1797-1828), the "Great" and final numbered symphony, which the composer dated 1828, has an oddball history because, of course, he didn't really write it in 1828, and it probably wasn't really his final symphony. The odds are he wrote it much earlier than the year of his death, which probably makes little difference since, as with the rest of his orchestral music, he never published any of it, anyway. The Ninth didn't even see a public performance until 1839, a full eleven years after Schubert's death. Yet today it is one of the basic components of the classical repertoire. Such is fate. It's nice to see conductor Philippe Herreweghe giving it a shot, especially since Herreweghe just finished up his Beethoven cycle and what better a work to follow it up than the Schubert Ninth, with its obvious Beethoven connections. Herreweghe is one of those conductors who perhaps never pops to mind as among the absolute greatest conductors of our day but who never disappoints with his recorded performances. While he's neither foursquare nor revolutionary, he never takes an easy route, either, as this recording demonstrates. In the opening movement, Herreweghe creates the proper dimensions, meaning he plays it big and grand. At the same time, it is not overpowering, the conductor maintaining Schubert's characteristic lilt in its gait. When the Andante section turns into a full-fledged Allegro, Herreweghe isn't hesitant about cutting loose. Yet despite there being much energy here, it is not always at the service of the music. It's not exactly like the famous Krips-Decca recording, which continues to set the benchmark for total delight in the work, making each transition seem perfectly natural. Herreweghe does his best in a vigorous interpretation of the first movement that doesn't quite capture all of the composer's robust charm. In the second-movement Andante, however, Herreweghe seems more at home, taking the combined march and lamentation at a brisk and lively pace. It's a neat trick to make what can be a dirge into something more exciting. Perhaps, though, the conductor does miss a little something in terms of emotional charge by doing so, and maybe the shifts into the middle section's sweeter tones and back are a bit abrupt as a consequence. It's a small matter. The third-movement Scherzo sounds a touch heavy to my ears, losing some of the Schubertian bounce in its step but making up for it with a good deal of passion. Then Herreweghe produces a finale of truly "Great" proportions, the transitions and tempos by now sounding just right. The very end, the closing note, does appear a bit odd in the way it cuts off, but it's the only distraction. Although this may not be a Schubert Ninth for the ages, Herreweghe certainly offers for the most part a well-considered interpretation and a well-produced one. Recorded in Queen Elizabeth Hall, Antwerp, Belgium, 2010, the sound on this PentaTone hybrid stereo/multichannel disc is ultrasmooth, warm, and a tad soft, at least played through two speakers as I played it. Perhaps the small degree of midrange veiling I heard disappears when four channels come into play, I don't know. Nevertheless, the timpani shine through with clarity, and the dynamics are wide. Impact is good, too, so while some of the orchestral sound seems a tad tame, other portions impress one with their quick transient response. If you've heard previous recordings by Herreweghe on PentaTone, this one is unlikely to let you down. Rinaldo Alessandrini, Concerto Italiano. Naive OP 30412. Music, like most other art, affects different people in different ways. We wouldn't want it otherwise. 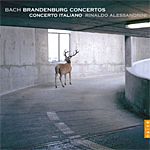 My guess is that a majority of listeners will adore this lively, period set of Bach's six Brandenburg Concertos. I didn't. It's what makes ball games. In the first place, the small group of performers playing in Rinaldo Alessandrini's ensemble does not always sound to my ears letter perfect. Not that we would always want it that way; I would take gusto and enthusiasm over absolute precision any day. But in Concerto No. 1 the sound of the period instruments can seem positively Raggedy Annie. In No. 2 the trumpet appears distant and rough. Moreover, Alessandrini plays every fast movement as such a breakneck speed, one can hardly appreciate what's happening. Other listeners, as I say, will interpret the quick tempos as exhilarating and exciting and possibly fitting with the Italian style that influenced Bach; I simply found everything too fast. Then, there's the sound, recorded in the Palazzo Farnese, Rome, in 2005. This would seem an ideal setting because of its appropriate resonance, but the result is sound less than transparent and conveying very little depth. Not that the ensemble needs much depth when there are only six or eight players involved, but still, judging from the bonus DVD that comes with the earlier CD set, the players appear distanced front-to-back by at least a few feet. On the compact disc, however, they sound as though the leader had arranged them in a perfectly straight line across the stage. For the record, so to speak, I thought Nos. 3, 4, and 5 come off best, where the quick pacing doesn't sound too rushed. But that big ensemble piece, No. 1, just sounds pretty loose to me, No. 2 seems harsh and over decorated, and No. 6 appears a touch dull. By comparison, both of Trevor Pinnock's period recordings (DG and Avie) sound just as lively as Alessandrini's yet far more refined, elegant, and, again for me, entertaining. Incidentally, apparently the earlier Naive set I reviewed came with the aforementioned bonus DVD, which contains a brief, thirty-minute or so film of Alessandrini and his group rehearsing and playing, with commentary from Alessandrini (subtitles in English) and extended excerpts from several of the Concertos. Victoria de los Angeles, Nicolai Gedda, Janine Micheau, Ernest Blanc; Sir Thomas Beecham, French Radio Chorus and Orchestra. EMI Classics 50999 9 48215 2 9 (3-disc set, plus bonus CD-ROM with libretto and synopsis). Was there ever a more charming or more well-loved opera than Carmen, by French composer Georges Bizet (1838-1875)? Yet poor Bizet would never live to see just how popular his final completed opera would become, the work seeing a poor opening in the year of the composer's early death. Today, we have at least a half a dozen great recordings of it from conductors like Karajan (DG and RCA), Bernstein (DG), Solti (Decca), Abbado (DG), Plasson (EMI), Petrie (EMI), Sinopoli (Teldec), and others. But at the top of my own list of favorites has long been the one under consideration here, with Sir Thomas Beecham and stars Victoria de los Angeles and Nicolai Gedda, recorded over six decades ago and appropriately reissued by EMI yet again in 2011. I believe it marks the set's third time on CD alone, and it can't be enough. Set in Seville, Spain, during the early nineteenth century, the narrative concerns a beautiful and tempestuous Gypsy girl, Carmen (De los Angeles), who lavishes her affections on a young but naive soldier, Don Jose (Gedda). He becomes so enamoured with Carmen, he spurns his former lover, deserts his regiment, and joins Carmen and a crew of smugglers. When Carmen subsequently rejects him and takes up with a bullfighter, Don Jose becomes so enraged with jealousy, he murders her. After Bizet's death, critics and audiences found enough melodrama in the piece to help transform French opera comique into the emerging Italian realism of Verdi and Puccini. Beecham establishes his credentials from the outset with an Act I Prelude that is light and charming, appropriate to the romance of the opening scene. When things get serious, Beecham makes the proper adjustments, adding genuine color, texture, and excitement to the story without exaggerating the tempos too much. De los Angeles has not just an attractive, flexible voice for the role but one that projects unquestionable passion and seduction. If there is any concern with the production, it's that De los Angeles tends to overpower everyone else. Nevertheless, Gedda and the others are more than adequate, if a trifle foursquare compared to the star. Fortunately, Beecham injects such high spirits into the affair that every singer comes away looking good. Recorded by EMI in the Salle Wagram, Paris, in various sessions between 1958 and 1959, the sonics are as good as or better than anything produced today. The acoustic is spacious, with a fine sense of air around the instruments, a realistic depth to the orchestra, an expansive stereo spread, and plenty of transparency in the midrange. Distant sounds and voices really do sound distant and closer objects closer. It's a lifelike, multidimensional effect. A solid bass, extended highs, and wide dynamics complete the picture; and unlike so many competing versions, this one is neither too close or bright nor too distant or dull. Voices and orchestra appear perfectly balanced, too, so when we first hear the chorus enter, we know we're in for an aural treat. Incidentally, EMI use the same 2000 remastering for this rerelease that they made for their earlier "Great Recordings of the Century" edition. So if you already own that set, you pretty much own this one. The big difference is that where before EMI included a printed synopsis and libretto, they now offer these items on a separate, bonus CD-ROM. Of course, you must have a CD-ROM drive in your computer and Adobe Acrobat 6.0 or higher to access the contents and a printer to print out the results. I can only guess that it was cheaper for EMI to provide the bonus disc than to print up an entire booklet. I dunno. Janine Jansen, violin; Baroque Ensemble. Decca B0005298-02. First, some minor quibbles: I tend to be suspicious of album covers that put the artist's name above the composer's and in a typeface two or three time bigger, as is the case here. It makes me wonder if perhaps the record company isn't hyping the artist at the expense of the music. Next, I'm equally leery when the artist's picture appears on more pages of the booklet insert than text does. In this case, Janine Jansen is a very attractive young violinist and her picture in a low-cut evening gown appears fully eight times--on the front and back booklet cover, five times within, and again on the back of the CD. Then, one can't help noticing that the disc includes only the four "Seasons" concertos, totalling less than forty minutes, which is short measure for a full-price release. These concerns aside, Ms. Jansen does play lovely music in a most skillful manner, and if it's only Antonio Vivaldi's The Four Seasons you're looking for, this new issue makes a worthwhile consideration. The several things it has going for it include a good performance, an unusually small ensemble, and a period-instruments approach. Taken one at a time, Ms. Jansen, playing a Stradivari on loan to her from the Stradivari Society of Chicago, plays the concertos in a subtle, polished, subdued, and sensitive manner. You might say it is a more feminine approach than most, if that term doesn't sound too sexist. What I mean is that while she certainly performs with vigor when the music demands it, she handles the softer moments more delicately than one commonly hears. I found her interpretation quite refreshing, but some listeners may prefer a more robust reading. Backing her up, we do not find the usual full-scale or even chamber orchestra, but a select handful of musicians, about eight of them. This makes for a most intimate performance, with textures that are cleaner than in most other recordings. And the accompanists also use period instruments, so the effect is, I imagine, similar to what a listener in Vivaldi's day might have heard performed in a modest environment. Finally, Decca's sound is among the smoothest and most refined I have heard. Indeed, all of the six or more comparison Seasons I had on hand tended to sound a little overly bright next to the Jansen recording. The instruments appear well spread out across the sound stage; the solo violin rings out sweetly and naturally, without any undue strain; and the ambient acoustic is pleasantly realistic. I was a little unsure about this disc when I first started listening to it, but the more I heard from it, the more I liked it. While I wouldn't recommend Jansen's disc as an absolute first choice, it is certainly a strong contender. 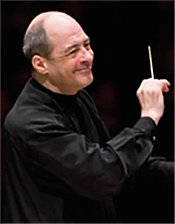 The 2010–2011 season marked Spano's 10th as music director of the Atlanta Symphony Orchestra. The Music Institute of Chicago, the oldest community music school in Illinois and one of the three oldest in the nation, offers its annual Chicago Duo Piano Festival July 8–17 at Music Institute's Evanston East Campus, 1490 Chicago Avenue. In addition to offering students private and group coaching and the opportunity to perform in final recitals, the Festival includes three public performances at Nichols Concert Hall featuring acclaimed performers and celebrated duo piano repertoire. Gala Opening Concert: Celebrating Liszt: Friday, July 8 at 7:30 p.m.
Special guest Italian husband and wife piano duo Elisabetta Dessi and Francesco Giammarco perform four-hand transcriptions of works by Liszt, including Legends of Saint Elisabeth and the Mephisto Waltzes No. 1 and 2. "Mozartiana": Tuesday, July 12 at 7:30 p.m.
Chicago Duo Piano Festival Founders/Directors and Music Institute faculty piano duo in residence Claire Aebersold and Ralph Neiweem perform Mozart's Sonata in D Major for Two Pianos, K. 488 and two piano transcriptions of Mozart's music by Busoni and others, including Liszt's "Don Juan" Fantasy. Duo Piano Extravaganza: Friday, July 15 at 7:30 p.m. In this popular event, members of the Music Institute faculty offer a varied selection of four-hand and two-piano works. Performers include Chicago Duo Piano Festival Founders/Directors and Music Institute faculty piano duo in residence Claire Aebersold and Ralph Neiweem, along with faculty and staff members Maya Brodotskaya, Alexander Djordjevic, Irene Faliks, Elaine Felder, Mark George, Matthew Hagle, Brenda Huang, Mio Isoda, Katherine Lee, Soo Young Lee, Sung Mo, Milana Pavchinskaya, and Fiona Queen. Tickets for the Chicago Duo Piano Festival concerts July 8, 12, and 15 at 7:30 p.m. at Nichols Concert Hall, 1490 Chicago Avenue, Evanston are each $25 for adults, $15 for seniors and $10 for students, available at musicinst.org or 847.905.1500 ext. 108. 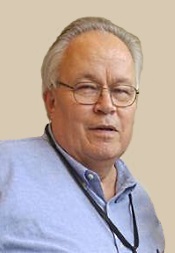 Portsmouth, NH: PARMA Recordings is pleased to announce the addition of Harold Rosenbaum as Lead Choral Conductor. "We are very happy to have Harold lead our efforts to produce the finest quality choral works and recordings for our composers and artists," says Bob Lord, CEO of PARMA. "Harold is a world-renowned conductor and choral music expert whose work is unparalleled in the field, and he will most certainly help us achieve our mission to bring the very best recording quality to our clients." "I am delighted to be working with such an outstanding organization as PARMA Recordings," says Harold Rosenbaum, "and I look forward to selecting, editing, conducting, and recording important choral works by PARMA's composers and artists." Record sessions are scheduled at locales in New England and New York for the 2011/2012 season. Also, Mendelssohn: Violin Concerto. Henryk Szeryng, violin; Bernard Haitink, Royal Concertgebouw Orchestra, Amsterdam. Newton Classics 8802053. 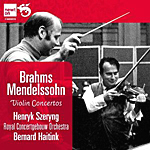 Here are two oldies but goodies, the Brahms and Mendelssohn Violin Concertos with violinist Henryk Szeryng, conductor Bernard Haitink, and the magnificent Concertgebouw Orchestra, both recordings dating from the mid Seventies and newly reissued by our friends at Newton Classics. The disc begins with the Violin Concerto in D major, Op. 77, by Johannes Brahms (1833-1897), Brahms's only violin concerto, written in 1878. Brahms composed the piece at around the same time he wrote his Second Symphony (1877), and both of them promote a kind of bucolic idyll. However, the slightly later Violin Concerto is the more robust, rugged work, lofty and aristocratic as well as rustic and rhapsodic. As Brahms was a classicist as well as a Romanticist, Szeryng and Haitink play the Concerto that way. It's still a virtuosic piece of music, yet the musicians never over romanticize it in any way, letting it breath with long, flowing, rhythmic tempos. Then, when Szeryng's instrument takes flight, it does so eloquently rather than sentimentally or frantically. You'll find no wistful nostalgia or bravura showboating here, just direct yet passionate playing. In the Adagio, Szeryng's violin joins the oboe seamlessly on their sweet, lyrical journey; then in the finale, everyone contributes equally to the exhilaration of the moment. While the interpretation may not provide the esoteric musings or the adrenaline rush of some rival versions, Szeryng and Haitink leave one with the felling of having heard a tightly knit and well-integrated piece of music, wholly satisfying. This Brahms recording has long been one of my favorites, elegant yet bold, poetic yet vigorous, so it delights me that Newton Classics chose it for rerelease. Coupled with the Brahms is the Violin Concerto in E minor, Op. 64, of Felix Mendelssohn (1809-1847). It was not the first such concerto Mendelssohn wrote, having composed two others while in his teens before writing this one in 1844. However, he never published the earlier works, so this is the one we all hear, the one that's so famous. (I know there are recordings of the early violin concertos, but that's not the point.) I suppose we can thank Mendelssohn's friend, violinist Ferdinand David, for prompting the composer over the years to write the thing at all. After years of pestering, Mendelssohn completed it and David premiered it in Leipzig in 1845 to an audience that appreciated it in the extreme. Folks have loved it ever since. Although I hate even to use the term "old-fashioned" to describe Szeryng and Haitink's collaboration in the Mendelssohn because it tends to conjure up the wrong image in some minds, it is still the best way to characterize the performance. Yes, the sound of the violin and orchestra are rich and resonant and ravishing, yet the interpretation itself is somewhat straightforward and unadorned. It is never ordinary, mind you, and is sometimes quite impassioned, but it sounds just a touch less inspired than a few competing versions like those of Itzhak Perlman and Andre Previn (EMI) or Jascha Heifetz and Charles Munch (RCA). So Szeryng remains recommendable, though not at the very top of the list. The sound in both works is typical of what Philips was doing with the Concertgebouw in the late Sixties and Seventies. These recordings, made in 1974 (Brahms) and 1977 (Mendelssohn) feature a big, spacious, concert-hall acoustic, with a wonderful ambient bloom that makes them sound most realistic. They also display a fine midrange clarity, a wide dynamic range, and at least adequate if not quite exemplary high treble and deep bass. If there is any minor issue, it is that the upper midrange and lower treble can be a bit more forward in the Brahms than one may like, which is fine for the solo violin, giving it an extra sheen, but makes massed strings seem a bit overbright. Nevertheless, it's a small matter when the rest of the sonics are so persuasive. Also, Scherzo capriccioso; The Hero's Song. Jiri Belohlavek, BBC Symphony Orchestra. Warner Classics 2564 63235-2 (2-disc set). I've read that Czech composer Antonin Dvorak (1841-1904) was particularly fond of his Fifth Symphony. Well he should have been; while Nos. 7, 8, and especially 9 get all the attention, No. 5 tends to get overshadowed and sometimes even forgotten. But it's a splendid piece of music, as is its companion piece, the Symphony No. 6, the two of them forming a kind of pastoral duo. You can hear them both to good effect in this Warner Classics two-disc set with Jiri Belohlavek and the BBC Symphony Orchestra. Belohlavek, the longtime conductor of various Czech orchestras, like the Czech Philharmonic, the Prague Symphony, and the Prague Philharmonia, knows the music inside and out and plays up the lyrical elements in both works. The Fifth begins delightfully, full of bounce and high spirits, and ends with appropriate excitement and good tidings. The Sixth, if anything even lighter and more cheerful than the Fifth, also comes off with an elegant poetry and grace. 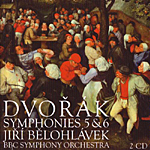 Dvorak and Belohlavek have the ability to make us feel the bucolic atmosphere of the music, and, if you close your eyes, actually to visualize the Czech countryside. They are lovely interpretations, nicely complemented by two of Dvorak's shorter works, the Scherzo capriccioso and The Hero's Song. I wish I could be more glowing about the audio, too, but here I came away with mixed feelings. The engineers recorded the Symphony No. 5 in the studio in 2006, and it sounds a bit flat, not dynamic enough overall, and not full enough in the bass to be entirely realistic. 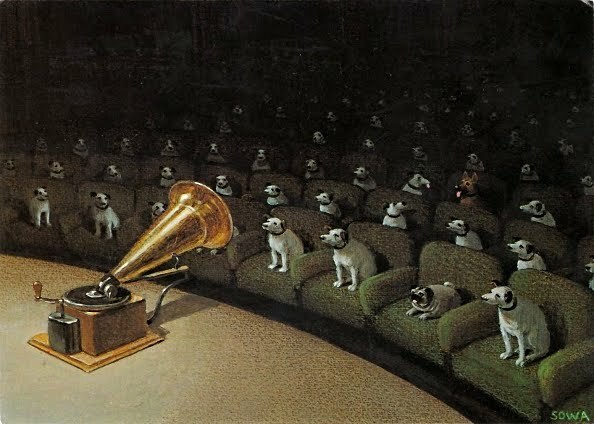 They recorded the Symphony No. 6 live at the Royal Festival Hall in 1999, and while it is much warmer, richer, and fuller, it does not sound as detailed. So neither recording is quite up to par sonically, although neither recording will entirely disappoint most listeners. In both cases, the performances overcome any minor shortcomings in the sound. Also, Gal: Symphony No. 1. 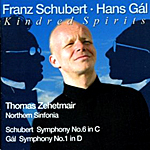 Thomas Zehetmair, Northern Sinfonia. Avie AV2224. In one of those cryptic designations that record companies like to use, Avie gives this album the secondary title "Kindred Spirits." One would assume, then, that composers Franz Schubert and Hans Gal had much in common, yet beyond their both being Viennese, one would hardly notice the connections. Franz Schubert (1797-1828) wrote his Symphony No. 6 in C major, D589, in 1818, and people today call it the "Little C Major" to differentiate it from No. 9, the "Great C Major." Schubert finished No. 6 just after his twenty-first birthday, so it's a youthful work from a man who died young; in that regard, I suppose all of Schubert's work is "young." Certainly, much of it carries a pleasant, youthful spirit. The opening Adagio-Allegro has a typical Schubertian charm to it, light and refreshing, with a flourish at the beginning and end. Maestro Thomas Zehetmair lets most of it breathe with fairly broad tempos. It perhaps loses a little zest in the process but remains largely delightful. Then Zehetmair takes the Andante at a rather sprightly pace, investing it with more vivacity than I would have thought, which, if anything, makes for a smooth transition into the little Scherzo that follows it. This third movement is reminiscent of parts of Beethoven's Seventh Symphony, and it, too, maintains the color and character of the movement that succeeds it, a rondo finale. Zehetmair uses it to advantage to end the piece in cheery style. If there is any drawback to the performance, it's not so much in what Zehetmair does as it is what a major rival, Sir Thomas Beecham, did in his old 1955 stereo recording (EMI). Beecham was consistently lighter, more genial, and more magical. What's more, his EMI disc provides two more Schubert symphonies, Nos. 3 and 5. So, for Zehetmair's disc, it is probably the coupling that matters most. That coupling is the Symphony No. 1 in D major, Op. 30, by Hans Gal (1890-1987). Written in 1927, the Gal symphony contains a steady stream of long, flowing melodic ideas, the harmonies sometimes running rampant, willy-nilly. Yet there is always a twentieth-century sensibility about it, a greater seriousness of tone than almost anything found in Schubert. Indeed, Zehetmair seems even to play up the fact that the Vienna of Gal's youth, indeed the Vienna of Schubert, was a thing of the past, ravaged by World War I and about to experience further decline in World War II. The third movement Elegie speaks most eloquently for the work: dark, slightly melancholy, yet resourceful and hopeful as well. Gal draws the symphony to a close with a vaguely militaristic finale, like Schubert's in rondo form. Zehetmair seems to relish this music and presents it in fine, sympathetic fashion. Avie recorded the performances in November of 2009 at Hall One of the Sage Gateshead, England. The sound is very dynamic, with good impact and a reasonably wide frequency response. Although the textures are perhaps a trifle heavy for the nature of the Schubert music, they work well in the more weighty Gal symphony, and in any case it is of minor concern. The sound has good body, warmth, and strength, which is what matters most. Also, Prelude a l'apres-midi d'un faune; Rapsodie pour orchestre et saxophone; Ravel: La Valse; Bolero. Kenneth Radnofsky, alto saxophone; Kurt Masur, New York Philharmonic. Warner Apex 2564 67717-4. 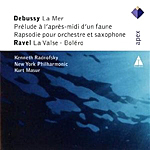 I don't know if Teldec ever released this 1996 Debussy recording by Kurt Masur and the New York Philharmonic before, but Warner Classics have issued it on their own Apex label in 2011. Not that the world needs yet another recording of La Mer, and a mundane one at that, when we already have a thrilling account from Stokowski (Decca), an evocative one from Martinon (EMI), a sensuous one from Karajan (DG), a robust one from Reiner (RCA), an elegant one from Ansermet (Decca), and polished ones from Previn (EMI), Boulez (DG), Simon (Cala), Giulini (EMI), Haitink (Philips), and others. Nevertheless, I suppose dedicated collectors will want everything they can get their hands on, and Masur fans will want everything he's done. Or maybe buyers will it nice to have the two accompanying Debussy pieces and the two Ravel along with La Mer, at least making the disc a good value for its sheer quantity of material alone. Fair enough. The disc begins with two short works by French composer Claude Debussy (1862-1918), the first one his Prelude and Afternoon of a Faun. It's hard for music this voluptuous not to sound anything but good, and Masur does not disappoint, with the New York Phil providing a full, sweet, warm sound. However, Masur's account is also fairly straightforward, hardly raising any goose pimples for its inspired interpretation. Following the Prelude we get Debussy's Rhapsody for Orchestra and Saxophone, a bit less well known than the other works on the disc and, thus, more welcome. The faintly blues-inflected mood of the saxophone blends nicely with Debussy's impressionistic style. Next, it's on to the central work on the disc, Debussy's La Mer. Like the other readings, there is nothing especially distinguished about the performance, nor is there anything to get too annoyed by. Masur conducts the notes, and the orchestra plays them. Insofar as Masur capturing the temper of the sea, the feel of the salt air on our cheeks, the splash of the waves against the shore, the stormy drifts of wind and ocean tides, I felt little of it. The music-making seems too matter-of-fact for that. Although Masur's rendition picks up appropriate momentum in the third and final movement, let's just say there are far more exciting accounts available than this one. The program concludes with two short, familiar pieces by Debussy's younger contemporary, French composer Maurice Ravel (1875-1937): La Valse and Bolero. Masur again conducts them competently, yet neither performance inspires the utmost confidence or admiration. Teldec recorded the first six tracks live in 1996 at Avery Fisher Hall, NY, and the seventh track live (Bolero) in 1993. The engineers obtain a moderately close and reasonably detailed sound with only a faint degree of audience noise in the background (occasional shuffling, coughing, and wheezing). There is not much depth to the orchestral stage, though, sacrificing it for a wide stereo spread. Midrange definition is fine, even if frequency extremes and dynamics can sometimes seem more than a tad limited. As a small consolation for the live recording, Teldec engineers edited out any applause that might have spoiled the mood. Also, Khachaturian: Piano Concerto in D flat major. 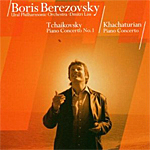 Boris Berezovsky, piano; Dmitri Liss, Ural Philharmonic Orchestra. Warner Classics 2564 63074-2. Pity pianist Boris Berezovsky; he gets sabotaged by the recording engineer. Berezovsky, born in 1969, is the 1990 winner of the International Tchaikovsky Competition in Moscow. Ever since then he has been in demand with leading orchestras. He is, to say the least, a virtuoso of the keyboard, able easily to dazzle the ear with his flashy finger work. Since the Tchaikovsky First Piano Concerto is a mercurial piece, anyway, his technique functions reasonably well. The big opening theme goes by lickety-split, and then when the second subject arrives the pianist practically stops the performance with his lingering tempo reductions. If you like this sort of thing, it can be quite dramatic. He settles down by the final movement to something a bit more consistent. I preferred his craftsmanship more in the Khachaturian Concerto, however, where the composer's style is rather a razzle-dazzle affair to begin with, and Berezovsky's overt showmanship shines more brightly. He really seems at home with Khachaturian's bursts of enthusiastic frenzy. The problem is the sound, recorded in February, 2006. The engineers miked the piano quite closely, making it appear too tubby for ultimate realism; and then they give the orchestra a fat, blurred presence that does nothing to improve matters. Listen to Cliburn (RCA or JVC. ), Gilels (RCA), or Argerich (DG or Philips) in the Tchaikovsky, and you find an altogether more solid and more convincing soundscape. And the Cliburn and Gilels recordings go back over forty and fifty years. On Thursday, May 12, 2011, the American Classical Music Hall of Fame held an induction ceremony in honor of their 2010 inductees at The Juilliard School in New York City. The inductees are conductor Marin Alsop, composers William Bolcom and Philip Glass, the Emerson String Quartet, educator Dr. Joseph William Polisi, and the music service organizations ASCAP and BMI. On hand to accept their awards were the Emerson String Quartet, Dr. Polisi, ASCAP, and BMI. Philip Glass will be honored in Cincinnati this fall, William Bolcom in Ann Arbor, and Marin Alsop at a location and time to be determined. The American Classical Music Hall of Fame, a national institution, is dedicated to honoring and celebrating the many facets of American classical music. The Hall of Fame seeks to recognize those who have made significant contributions to classical music and by doing so aspires to sustain and build interest in classical music. Inductees to the Hall of Fame are nominated by a specialist field of musicians, music educators, leaders in the music industry and its living inductees. Nominations are made in six categories: composer, conductor, performer, educator, performing ensemble and institution devoted to music. Nominations are reviewed by the distinguished National Artistic Directorate members who recommend a final slate for endorsement by the Board of Trustees of the American Classical Music Hall of Fame. The Emerson String Quartet stands alone in the history of string quartets with an incomparable list of achievements over three decades: nine Grammy Awards (including two for Best Classical Album, an unprecedented honor for a chamber music group), three Gramophone Awards, the coveted Avery Fisher Prize and an international reputation for groundbreaking chamber music projects. Dr. Joseph William Polisi became the sixth and current president of The Juilliard School in September 1984, bringing to that position his previous experience as a college administrator, a writer in the fields of music, public policy and the arts, and an accomplished bassoonist. The American Society of Composers, Authors and Publishers (ASCAP) is a membership association of more than 410,000 U.S. composers, songwriters, lyricists, and music publishers of every kind of music. Through agreements with affiliated international societies, ASCAP also represents hundreds of thousands of music creators worldwide. ASCAP is the only U.S. performing rights organization created and controlled by composers, songwriters and music publishers, with a Board of Directors elected by and from the membership. Broadcast Music, Inc. (BMI) is an American performing right organization that represents more than 475,000 songwriters, composers and music publishers in all genres of music and more than 6.5 million works. BMI has represented the most popular and beloved music from around the world for 70 years. The U.S. corporation collects license fees from businesses that use music, which it then distributes as royalties to the musical creators and copyright owners it represents. In September 2007, Marin Alsop made history with her appointment as the twelfth music director of the Baltimore Symphony Orchestra, the first woman to head a major American orchestra. This mirrored her ongoing success in the United Kingdom where she was Principal Conductor of the Bournemouth Symphony from 2002-08 and is now Conductor Emeritus. Named 2007 Composer of the Year by Musical America, and honored with multiple Grammy Awards for his groundbreaking setting of Blake's Songs of Innocence and of Experience, William Bolcom is a composer of cabaret songs, concertos, sonatas, operas, symphonies, and much more. He was awarded the 1988 Pulitzer Prize in Music for his Twelve New Etudes for piano. As a pianist he has recorded for Advance, Jazzology, Musical Heritage, Nonesuch, Vox, and Omega. Philip Glass was born in 1937 and grew up in Baltimore. He studied at the University of Chicago, The Juilliard School and in Aspen with Darius Milhaud. In the past 25 years, Glass has composed more than twenty operas; eight symphonies (with others already on the way); piano concertos; film soundtracks; string quartets; a growing body of work for solo piano and organ. He presents lectures, workshops, and solo keyboard performances around the world, and continues to appear regularly with the Philip Glass Ensemble. 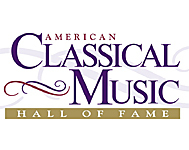 For more information on the Classical Music Hall of Fame, you can visit their Web site at http://www.americanclassicalmusic.org/01/index.html. Also, Bruch: Octet in B flat major. Kodaly Quartet, Auer Quartet. Naxos 8.557270. Like so many musical geniuses, German composer Felix Mendelssohn (1809 -1847) was a child prodigy, producing his famous Octet in E flat major, Op. 20, at the age of sixteen. The music is filled with the youthful high spirts we would expect, yet it's also got the captivating magic and maturity so eloquently and zestfully displayed in his overture to A Midsummer Night's Dream, which he wrote around the same time in 1825. 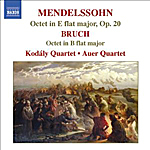 Coupled with the Mendelssohn Octet we find the Octet in B flat major by German composer and conductor Max Bruch (1838-1920), a work Bruch composed in the year of his death, 1920. Bruch's music was something of a throwback to the traditional music of the nineteenth century, so it is no surprise that his Octet should owe so much to Mendelssohn's music of almost a hundred years earlier. Both pieces are romantic, flowery, exuberant, flamboyant, lyrical, with moments of serenity and repose amidst dashing élan. It's interesting to note, too, that Bruch's music was pretty much out of fashion by the early twentieth century, yet today it is largely his music and that of other eighteenth and nineteenth-century composers that make up most of the basic repertoire of classical record albums and classical concert programming. Perhaps good tunes never go out of style. I enjoyed this disc a lot, as played by the combined forces of the renowned Kodaly Quartet and the more-recently formed Auer Quartet. For the paltry price one pays for the Naxos bargain disc, it seems like a bargain. However, the Mendelssohn performance would not displace my current favorite recording of the work from the period-instruments group Hausmusik on EMI. Compared to this Naxos release, their recording is more transparent, and their performance is gentler and more poetic. Nonetheless, the quicker tempos of the Kodaly-Auer ensemble would seem to go hand in glove with Mendelssohn's youthful enthusiasm. And finding the Mendelssohn Octet combined on the same disc with the Bruch Octet, one could hardly go wrong. Also, Waldesruhe; Rondo in G Minor for Cello and Orchestra. Maurice Gendron, cello; Bernard Haitink, London Philharmonic Orchestra. HDTT HQCD228. Given the number of practically rock-star famous cellists in the world, there really aren't all that many famous cello concertos around. For many years, composers sort of shunned the instrument, at least as a solo instrument with orchestral accompaniment, J.S. Bach, Mozart, Beethoven, Schubert, and the like pretty much ignoring it except in chamber works. Fortunately, by the late nineteenth century things picked up for the cello, and by the twentieth century it had taken a respectable place in the halls of classical music. The Cello Concerto in B minor, Op. 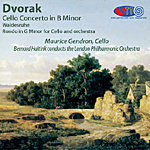 104 (1895), a rather late work by Czech composer Antonin Dvorak (1841-1904), has since become one of the most-popular cello concertos of all time, and you'll find excellent recordings of it by any number of artists, like Mstislav Rostropovich (DG), Yo-Yo Ma (Sony), Pierre Fournier (DG), Jacqueline du Pre (EMI), Leonard Rose (Sony), Gregor Piatigorsky (RCA), Lynn Harrell (RCA), Pablo Casals (EMI and Dutton Labs), Paul Tortelier (EMI), Rafael Wallfisch (Chandos), Truls Mork (EMI), my own favorite Janos Starker (Mercury), and this mid-Sixties recording from cellist Maurice Gendron, conductor Bernard Haitink, and the London Philharmonic. What the Gendron-Haitink performance has going for it is intelligence, dignity, spontaneity, and grace; and what the recording has going for it is a terrific remastering by HDTT. Let's begin with the performance. Dvorak gets it started with a big, grand orchestral introduction before the entrance of the cello, a preface that includes references to the work's two main themes to come. Haitink sets the tone by somewhat underplaying it, making sure he and the LPO aren't grandstanding for the sake of glamorizing the music. Not that any of the music lacks power or authority, mind you; it's just that Haitink doesn't emphasize the contrasts as much as some other conductors do. Instead, he ensures that everything flows naturally and fluidly from one element to another. As such, this is one of the most consistently unified and thoughtful Dvorak Cello Concerto interpretations you'll find. Likewise, Gendron's cello playing is unaffected. You get virtuosic style masquerading as simplicity itself. The Cello Concerto seems to have no end of attractive melodies in it, which Gendron and Haitink are more than willing to point up. For instance, Dvorak wrote the slow, second-movement Adagio while his much-beloved sister-in-law lay dying, and he used one of her favorite pieces of music as a central theme. In it, he creates a lovely, explosively gentle, faintly melancholic mood, with Gendron treating it with the lightest possible touch one minute and the most-passionate energy the next. Yet, as before, neither Gendron nor Haitink overemphasizes the contrasts, making the transitions almost seamless. In the Finale, Gendron and Haitink may not produce quite the fire that some competing artists do, but as in the rest of the Concerto, they show more interest in the music itself than in any heroics the soloist or orchestra might impart. Still, in its slightly understated way, the Finale comes off with a gleaming lilt and bouncy lift, mesmerizing to the end. The little Waldesruhe and Rondo in G minor for Cello and Orchestra make suitable companions for the Concerto, again with Gendron and company providing warm and sympathetic readings. You can't go wrong with this disc; it does everything right. Remarkably, HDTT transferred the recording from a 1966 Philips LP. Yes, I know they usually transfer material from commercial tapes, but when they find an especially good LP in the public domain, they go for it. Anyway, they do their usual spot-on job cleaning it up and presenting it as though a major record company had just recorded it. Indeed, like most of HDTT's products, this one sounds better than 99% of the recordings made today. Burned to an HQCD, the sound displays excellent orchestral depth, good midrange clarity, taut bass, well-defined percussion, solid impact, and a wide stereo spread. While most of the sound is mellow and smooth, there is a very small degree of brightness in the string tone, mitigated by the warmth of the upper bass. Moreover, the cello appears well integrated with the surrounding orchestral accompaniment. Perhaps as important is the fact that HDTT seem to have applied a little judicious noise reduction in the restoration and transfer process, rendering the recording relatively quiet, without affecting the top end. Except for a few moments during the softest passages, there are no ticks, pops, or background noise noticeable. This is probably the best-sounding Dvorak Cello Concerto recording currently available. However, understand that the sound is not of the knock-your-socks-off variety; instead, like the performance, it is somewhat conservative, doing everything right without drawing attention to itself. Also, Rachmaninov: Symphonic Dances. Genevieve Laurenceau, violin; Tugan Sokhiev, Orchestre National du Capital de Toulouse. Naive V 5256. Now, I know what you're probably wondering. You're wondering what's for dinner tonight. And how you are going to watch that final episode of "The Chicago Code" with your mother-in-law visiting. And, maybe, just maybe, you're wondering what the two pieces of music on this CD have to do with each other. The connections are tenuous, but they're close enough. For example, both Prokofiev and Rachmaninov were Russian. They were contemporaries of each other, Rachmaniov a few years older. They were both pianists and composers. And they created the two works represented here within five years of one another. Personally, I prefer discs that couple works by the same composer. It makes finding things easier. But at least I can understand the reasoning behind Naive Records making the coupling they did. Sergei Prokofiev (1891-1953) wrote his Violin Concerto No. 2 in G minor, Op. 63, in 1935, just before he returned from a self-imposed exile from Russia and while turning to what he called a "new simplicity" in his music. The Concerto begins with a lonely violin solo that gets only a touch hectic before settling down to a more plaintive tone. 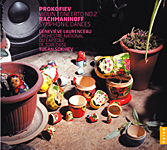 Prokofiev was obviously softening his earlier dissonant style and relying more on melody. It couldn't have hurt that the Russian musical censors of the day probably appreciated his new attitude as well. Ms. Laurenceau's violin takes flight about halfway through the first movement and remains in a soaring mode for most of the work. Then, in the slow movement we get a lovely Andante assai, with a gently flowing, lilting melody played above a sweet, rhythmic arpeggio accompaniment. It's among the most-charming things Prokofiev ever wrote, and again Ms. Laurenceau handles it with authority. The final movement closes the show in a pulsating, waltz-like mood, ever more-pronounced percussion elements overtaking the Gypsy swirls of the violin. Ms. Laurenceau gives the instrument a workout as the music comes to a sudden, climactic end. Sergei Rachmaninov (1873-1943), his name on the disc Americanized as Sergey Rachmaninoff, would make the Symphonic Dances (1840) his final composition, although he lived several years thereafter. He drew upon material from many years before, an abandoned ballet called The Scythians, for his somewhat menacing music. The Dances begin with a big, militaristic introduction before developing a more restrained, sometimes melancholy, atmosphere. Always the Romantic, even to the end, Rachmaninov infuses the three movements with a wealth of voluptuous melodies, which conductor Tugan Sokhiev draws out eloquently, expressively, and expansively, despite some relatively fleet tempos. The only minor detail about Sokhiev's recording of the Symphonic Dances is that it goes head to head with several other superior recordings, those of Andre Previn and the London Symphony, who outshine Sokhiev in sheer delivery, and Eiji Oue and the Minnesota Orchestra, whose Reference Recording is just that, a state-of-the-art reference recording. Nevertheless, Sokhiev's performance is worthy of mention by their side. Naive recorded the two performances in July, 2010, in La Halle aux Grains, Toulouse, France; and, luckily for us, they did not record it live. While the sound in the Violin Concerto is a tad forward and the violin rather prominently placed, there is otherwise a good blend of instruments involved. The orchestral sound is never too edgy or bright, although it is slightly flat dimensionally. There is a moderately wide stereo spread, a modest dynamic range, and reasonably acceptable impact. However, frequency extremes, especially at the bass end, might have been better extended. Needless to say, the Symphonic Dances are more dynamic, and the sound opens up considerably more than it does in the Concerto, which only has to concentrate on highlighting the violin. In the Dances, we get a bigger, bolder, more-dimensional sound, even though, as I said, it doesn't really compete with the sonic quality of the Reference Recordings disc, which is in a class by itself. Michael Halasz, New Zealand Symphony Orchestra. Naxos 8.557846. Franz Liszt wrote thirteen tone poems, and between 1997 and 2007 conductor Michael Halasz recorded all of them for Naxos. This is the third volume of the material, containing the poems Festlange, Ce qu'on entend sur la montagne ("What is heard on the mountain"), and Hunnenschlacht ("Battle of the Huns"). 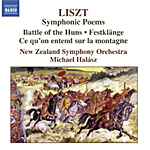 Halasz and the New Zealand Symphony Orchestra perform all of them competently, and Naxos record them fairly well. Things begin with Festlange, a lengthy, festive overture more than a symphonic poem but appropriate for getting the album off to a zippy start. Halasz handles it well, with plenty of contrast and color. The poem Ce qu'on entend sur la montagne is too long for its own good at nearly half an hour, as it tries to convey something about the voice of Nature clashing with the voice of Man. It's a noble sentiment that applies as much as or more today than in Liszt's time, but it gets weighted down with too much excess, redundant baggage. Far more concise, vivid, and descriptive is Hunnenschlacht, based on a fresco by Wilhelm von Kaulbach depicting the legendary battle between the Emperor Theodoric and Attila the Hun at the gates of Rome. It's a fiery concoction, and it is here that Halasz does his best, most-exciting, most-evocative work. The Naxos sound comes up well, although it is a tad thick and billowy at times. Realistic, yes, probably; transparent, not really. The catch with this whole Naxos low-priced series is that we also have available Bernard Haitink's excellent renditions of the Liszt tone poems with the London Philharmonic at not much of a cost difference, actually, for even better performances and better sound. Truls Mork, cello; Bernard Labadie, Les Violons du Roy. Virgin Classics 50999 6944920 8. Carl Philipp Emanuel Bach (1714-1788), one of the many sons of Johann Sebastian Bach, was, along with his younger brother, Johann Christian, probably the most famous of the siblings and almost as prolific as his father. C.P.E. (named, incidentally, for Georg Philipp Telemann, his godfather) became one of the leaders of the Classical movement in eighteenth-century music, bridging the Baroque and Classical periods. His three cello concertos, which we get on this disc, were not necessarily among his most-popular works, but they do demonstrate his originality and invention. C.P.E. composed the cello concertos between 1750 and 1753, and to this day there is some small dispute as to whether he originally wrote them for cello, flute, or keyboard. We'll set that debate aside for the moment and assume he wrote them for cello, possibly for one of the many Saturday-afternoon public concerts to which he often contributed pieces. Now, here's the thing: In the 1700's, hardly anybody wrote cello concertos. So the very fact that C.P.E. did so puts him a step ahead of his colleagues in terms of innovation. Even today there aren't very many recordings of them (usually, we get only the Cello Concerto in A major, Wq.172, the most popular of the three). Frankly, this was the first time I can ever remember hearing C.P.E. 's cello concertos, so I haven't really got any other recording with which to make comparisons. Still, I can't imagine other performances surpassing this one by Norwegian cellist Truls Mork and the French-Canadian chamber orchestra Les Violons du Roy, under the directorship of its founder, Bernard Labadie. Les Violons du Roy use modern instruments but follow period practices, so we get realizations that are most likely as close as possible to what the composer intended. The album begins with the A major Concerto, the most well rounded of the three. It has a lively opening movement, perhaps the most sprightly and enterprising of all the music on the disc. Apparently, C.P.E. wanted to catch one's attention with it, in the manner of an overture. Pulsing rhythms and a wealth of dynamic contrasts grab and sustain the listener's interest throughout, with Mork's virtuosic playing well supported by the fourteen or so members of the accompanying ensemble. Then comes the slow, center movement, which is the polar opposite of the more exuberant preceding one. This Largo is actually fairly melancholy, almost funereal in tone. While one might call it introspective or contemplative, there is a note of gloom about it as well, with Monk making his instrument practically weep. And then in the closing Allegro it's back to the carefree attitude of the beginning section, although without quite the forward thrust. The B flat major Concerto, Wq.171, is more elegant and stately than the robust 172. It seems more Baroque in style, filled with fewer surprises. Yet it is still charming, its slow movement reflective and longing, its concluding movement peppy and energetic, almost Vivaldi-like. The program concludes with the A minor Concerto, Wq.170, the earliest of the concertos and also the most conventional. Nevertheless, Mork's interpretation--spirited, cultivated, and plaintive by turns--make the music quite moving, especially the pensive slow movement. Distinguished playing characterizes all three performances; they are well worth one's time. The sound, recorded by Virgin in 2008 in Palais Montcalm, Quebec, in November, 2008, is somewhat forward, but pleasantly so, with the cello well integrated with the surrounding instruments. Like the performances, the sonics are lively, dynamic, and colorful, with a slightly reverberant effect adding to the realism. Although midrange clarity is perhaps not as transparent nor the ensemble's depth of field as extensive as one would like, the spaciousness of the acoustic and the spontaneity of the playing more than make up for it. The result is a vivid yet natural sound that properly complements the music. Also, Berg: Sieben Fruhe Lieder. Renee Fleming; Claudio Abbado, Berlin Philharmonic. DG B0005759-02. 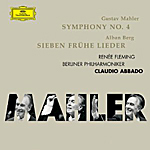 Maestro Claudio Abbado has been cultivating a friendship with the music of Gustav Mahler for many years, and his latest recording of the Fourth Symphony shows what he has gleaned from years of experience with the subject matter. However, this doesn't necessarily mean you're going to like what you hear. If you're familiar with Abbado the Mahlerian, you'll know he is no namby-pamby. His Mahler is vigorous and sometimes unrelenting, which is fine because Mahler filled his music, especially his symphonies, with so many ups and downs, subtilties and grotesqueries, tranquil moments and parodic ones, that it lends itself to any number of interpretations. Here, the conductor continues the kind of tear he was on in his reading of the Seventh Symphony, always thrusting forward. The thing is, you might find Abbado's approach more than a little disconcerting when applied to Mahler's most gentle and amiable work. He starts the Fourth Symphony with an opening movement that is anything but gentle or amiable, sounding more gruff than usual through a series of fits and starts. This is OK if you think of the whole symphony as simply leading up to the serenity of the heavenly Finale, and then the contrast seems to fit. But that opening sleigh ride may portend tough sledding ahead for listeners not used to Abbado's somewhat brusque ways. The Scherzo and Adagio go by without incident, the former being bizarre enough not to show much damage and the latter sounding quite lovely. The Finale, though, the celestial conclusion, can be downright jarring in Abbado's hands, and through no fault of Renee Fleming. It's just that the conductor produces so many dramatic change-ups, you'd think he was pitching for the White Sox. I wouldn't exactly call this a first choice among alternative versions of the Fourth Symphony, but it is a fascinating study of what a conductor can do with the work. While for me, Abbado has turned a generally charming piece of music into a generally charmless one, the conductor may be exactly what other listeners have been waiting for. The Berg songs, as brief as they are, make an attractive and appropriate coupling. The DG audio is similar to what we're hearing lately from many conductors and orchestras, namely, live sonics. DG made the recording in Berlin over several days in May of 2005 before a live audience. Thankfully, the audience is so quiet you'd never know they were there. The only time we hear from them is their applause at the very end of the album--at the end of Berg songs--and then the applause has a track of its own that one can program out. As for the actual sound, the performances are miked at a slightly closer distance than we usually hear in a live setting (although closer than what might be normal in a studio), and the result is a highly realistic acoustic in terms of tonal balance and orchestral depth. The downside is that the high treble appears somewhat muted and there seems to be a small mid-treble rise; worse, there is a very slight veil over the proceedings. Additionally, the dynamics are so wide that the softest notes are practically inaudible and the loudest passages can be overwhelming. Can't win. Mark Fitz-Gerald, Frankfurt Radio Symphony Orchestra. Naxos 8.572260. Almost everyone knows Georges Bizet's Carmen, or at least a good many folks would recognize the most-popular tunes from Bizet's opera. But how many people have heard of the Spanish composer Ernesto Halffter (1905-1989), let alone heard his own musical take on the Carmen story? 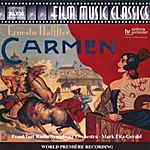 That's where Naxos comes in with this première recording of Halftter's score for Jacques Feyder's 1926 silent film Carmen, with Mark Fitz-Gerald leading the Frankfurt Radio Symphony Orchestra. Halffter was a friend of Manuel de Falla, Garcia Lorca, and Salvador Dali, having come up through that generation of writers, composers, and artists. Despite the modernism springing up all around him, though, his work in Feydor's film sounds fairly traditional. Much of it is more headstrong than Bizet's music, if less melodic, less inventive, and less rapturous. It is highly reminiscent of Albeniz, Stravinsky, and Ravel, with a little of Rimsky-Korsakov's Capriccio Espagnol and Chabrier's Espana thrown in for good measure. 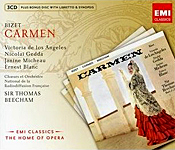 The booklet note indicates that to date filmmakers have made over eighty film versions of Carmen, based either on Prosper Merimee's novella or Bizet's opera, with over half them silent versions. Remarkable. Halffter's rendering of the accompanying music begins with a brief introduction titled Anime that certainly is just that: animated. It represents the male lead, Don Jose, running to his mother's house, pursued by the authorities. Then, Halffter follows it with a lovely and evocative movement marked Modere that has overtones of Debussy throughout. You can already tell from these two opening numbers that this is going to be a score highly influenced by every popular composer of the late nineteenth and early twentieth centuries. Still, that's OK because the result is pleasantly rhythmic and tuneful, with plenty of atmosphere. Each section, of which there are seventeen, evokes a part of the story or its characters and does so in often strikingly vivid fashion. "The Change of the Guard," for instance, has an appropriately military cadence to it; the smuggler's camp comes tinged with mystery; the bullfight is fittingly exciting; and much of the music is just as dramatic, here and there. Indeed, Halffter's music is probably more dramatic than Bizet's (or in some cases more melodramatic), and it certainly seems to follow the original story as closely or more so. This would appear to be because filmmaker Feyder wanted to follow the story more closely than Bizet and his librettists did, and the music for the film had to follow suit. Halffter said in a 1926 interview that "I used old regional themes, Andalusian themes, whose local colour is obvious even to the uninitiated. I followed the film's rhythm and atmosphere step by step, ensuring that the intensity of the musical drama did not swamp the on-screen drama, because you must never forget that the music must be no more than an accompaniment. I found that Feyder is a sensitive and intelligent artist. We collaborated very closely, and I hope that the score will be worthy of the work which inspired it." As this is the one and only recording of Halffter's score, we're going to have to assume that conductor Fitz-Gerald and his orchestra gave it to us as the composer intended. Surely, I wouldn't argue with them, and there is no doubting they play the music sympathetically enough. If anything, however, these little snippets of film music, as interesting as they are individually, are a bit random and tend to get somewhat repetitious after a time, no matter what the conductor and orchestra do to liven things up. I suspect that a twenty or thirty-minute suite would have served the music just as well as the sixty-six minutes we have here, except for those listeners who are absolute completists and must have every note the composer wrote. In any case, with a CD player one can always pick and choose what one wants to play. The sound, which Naxos recorded partly in the studio and partly live in 2008, is fairly typical of what we have come to expect from this source. It is smooth and easy on the ear, yet without making it to the audiophile class. What defines the sound may be easier summed up by what it isn't: It isn't quite transparent enough, dynamic enough, or extended enough to be positively first-rate. Nevertheless, it is entirely serviceable, with no glaring faults. While the imaging could be more pronounced and the bass deeper, the instrumental delineation is reasonably natural, the stereo spread wide, and the transient response impressive in more than a few places. Also, Piano Sonata Op. 101. Robert Casadesus, piano; Hans Rosbaud, Royal Concertgebouw Orchestra, Amsterdam. Newton Classics 8802050. 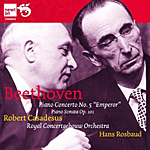 This recording from French pianist Robert Casadesus, conductor Hans Rosbaud, and the Concertgebouw Orchestra, was among the first LP's I remember owning of the "Emperor" Concerto, so it's good to find it back in the catalogue in a 2011 CD reissue from Newton Classics. Although it was Philips who recorded it in the early Sixties, I seem to remember owning it on the Odyssey label, perhaps the later budget-priced American version I bought in the late Sixties when I first came to it. As I put this rerelease in the player, I wondered if it would live up to my expectations or live down to my nostalgic memory. It turns out to be perhaps a little of both. Beethoven wrote the Piano Concerto No. 5 in E Flat, Op. 73, in 1809, premiering it in 1811 and dedicating it to the Archduke Rudolf, a student and patron of his at the time. It would be the composer's final piano concerto, and it would go on to become one of the man's most-popular pieces of music. The Casadesus performance is one of lucid textures and sharply defined contrasts. With any rendition, the opening Allegro must be bold and imposing, with its long, grand introduction, and it is here, with Rosbaud adopting a quick but never breathless pace, and Casadesus providing a remarkably gentle yet entirely heroic solo contribution. Each nuance seems calculated to maximum effect without distorting the general outlines of the work, from the quietest to the most-blazing passages. In the Adagio, Casadesus appears purely focused on refusing to sentimentalize the lovely central theme. Nevertheless, he doesn't do it any great injustice by taking a brisker, should I say more daring, clip than most other pianists. I must confess, however, that I rather prefer a more-romanticized approach; maybe it's my age showing. The performers then tackle the finale in arresting style, with Casadesus taking the lead in his usual poetically objective manner. Even so, the performers don't provide quite the power of other productions, preferring instead to concentrate on clearly shaping and defining the music. As a result, we get a more coolly analytical Fifth Concerto than most others but one that offers its own subtle rewards. Sharing the disc is the little Piano Sonata No. 28 in A, Op. 101, which Beethoven composed in 1817. Casadesus again approaches the piece in a fairly pragmatic way, bringing the music to life in the Vivace alla marcia but in the rest of the piece content to let the notes take care of themselves. Philips recorded the Concerto in 1961, capturing a somewhat thinner string tone, slightly less-ambient bloom, less bass, and less stage depth than they would in later Concertgebouw productions; otherwise, the sound is quite clear and dynamic. There is a beautifully realized piano sound, the instrument well integrated with the rest of the orchestra. The miking also seems a tad closer than common for a Concertgebouw recording, making the upper frequencies a tad bright. Be that as it may, the piano sounds just right, very warm and realistic. Fortunately, the disc's advantages overshadow its deficiencies, which are minor, the upshot being a transparent and becoming recording. 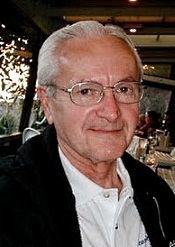 Casadesus recorded the accompanying Sonata a few years later, in 1964, during a live concert, evident from the sometimes intrusive audience noise. Setting aside the distractions, the piano again sounds beautiful. 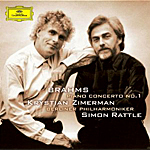 Krystian Zimerman, piano; Simon Rattle, Berlin Philharmonic. DG B0006203-2. I have never been the biggest fan of the Brahms First Piano Concerto, but I have to admit that Zimerman, Rattle, and the Berlin Philharmonic bring it off almost as well any other musicians I've heard. The problem for me with the Piano Concerto No. 1 in D Minor, Op. 15 (1858) is the whole first half of the opening movement: big, stormy, craggy, it seems too wayward and bombastic for the rest of the piece. Then, when the second subject takes hold, the composer so drastically changes the mood, it comes not so much as a breath of fresh air as a huge question mark. This was Brahms's first full-scale undertaking in the orchestral field, and perhaps the work suffers from being too much in the shadow and under the influence of Beethoven. Still, Zimerman manages to tie most of the movement together with his easy transitions and transcendent enthusiasm and energy. While the second movement is a bit too noble yet sentimental for my ears, it comes off better than the first movement for its having a more stable center, a stronger focus, and Zimerman here manages to infuse the music with an appropriately sweet serenity. The final movement is my own favorite of the concerto, a notably lighter, more high-spirited affair than the tumult that precedes it, yet possessing a conspicuous gravity, too. Again, Zimerman and company convey it with manifest ease. If I continue to prefer the performances of Curzon (Decca), Gilels (DG), or of Kovacevich (EMI and Newton), understand that I have lived with them longer, and it takes nothing away from Zimerman's account. DG's sound, recorded in the Scoring Stage, Berlin (thankfully, not live), is full and well rounded, the soloist nicely integrated into the proceedings rather than standing out too closely to the listener. The orchestral depth, however, seems rather lacking, as does something in the way of transparency. The piano itself is remarkably realistic, with a beautiful tone, but the orchestral accompaniment is without much ultimate sonic sparkle.